The Beta 125RR was clearly designed with Europe in mind but has a place in America for both off-road riders and motocrossers. Write this down: 2018 is the first year in a very long time that a new two-stroke has arrived in America. 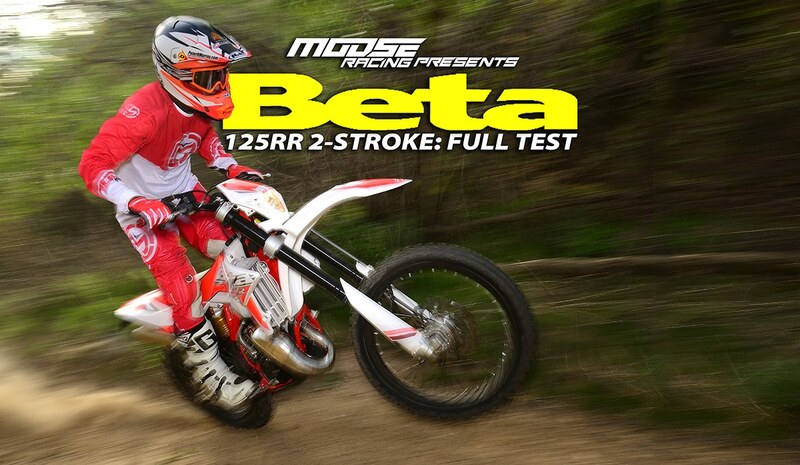 The new Beta 125 RR is 100-percent, top-to-bottom new. It’s not redesigned, it’s not being reintroduced, and it’s not an existing model from another country just being imported for the first time. It’s new. Beta is a small Italian company that specializes in off-road bikes and trials bikes. With that kind of focus, it’s understandable that the company takes two-strokes very seriously and has a vested interest in keeping them alive and relevant. The 125 two-stroke market is doing well in Europe because two-strokes can still be homologated for street use in some countries there. Will it fly over here? It should! Even though the 125 RR is new, it uses technology that’s very well-established. It has a 36mm Keihin PWK carburetor and no fuel injection (not yet anyway). The bike reportedly was designed with electric start in mind, but that feature was tabled to keep the price of the bike down. It turns out that you can start the bike by hand anyway. Likewise, this particular model has no oil-injection system. The power valve is driven by a ball-ramp device and opens progressively. The reed valve is positioned in the crankcase and is made by Moto Tassinari. 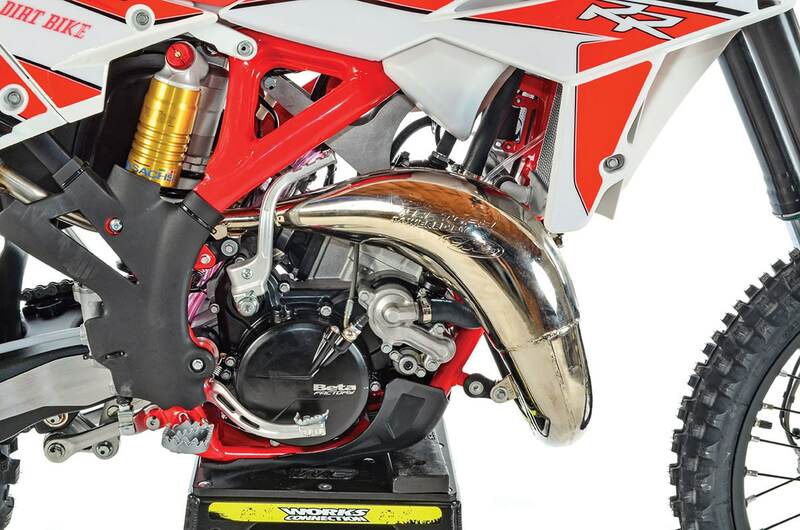 Another U.S.-made part is the FMF exhaust pipe. One interesting feature we haven’t seen on other production two-strokes is the replaceable dome in the combustion chamber. This gives you the ability to tailor the bike for different uses. The power valve also has real-world adjustability. The farther you turn it counterclockwise, the more hit the bike has. Ours was set up one full turn inward. The Beta is sold with dual-sport components in place and will doubtlessly find its way onto the streets in some of the more relaxed states. The frame looks very similar to the ones on Beta’s other two-strokes but was designed specifically for the 125. It’s made of chromoly steel, and a Sachs shock handles the rear suspension duties through linkage. 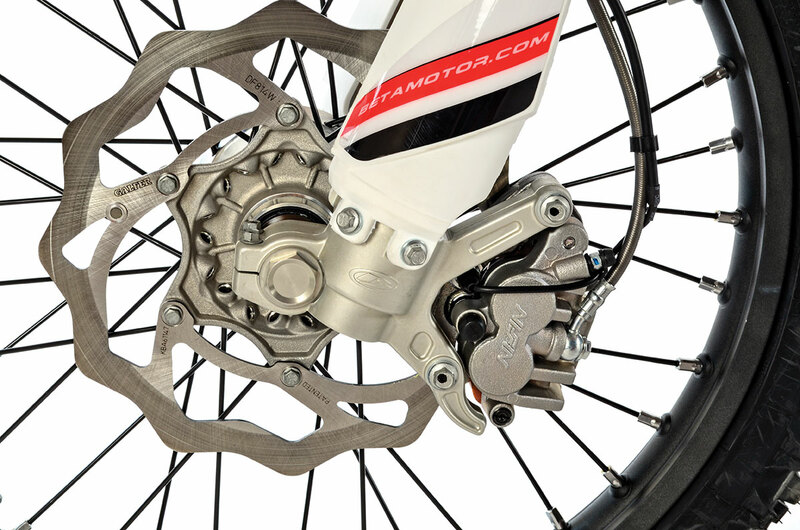 A Sachs fork is used in front, and the bike has Nissin brakes at both ends. It’s clear that this bike was designed with the European market in mind. It comes in pseudo dual-sport trim with a headlight, taillight, horn, speedometer and rear fender extension. The kickstand is set up to automatically retract when the bike is in use, and the Michelin Enduro Comp tires are DOT-approved. In some states you could easily get a license plate and pass it off as a dual-sport bike, although this remains one of those gray areas where federal laws don’t sync with local jurisdictions. The six-speed gearbox has wide-enough ratios that you could get by on the pavement for short stints without screaming the bike too badly. Despite having many of the same design elements as an old-school two-stroke, the Beta 125RR is clearly a product of modern times. It makes far more power than any of the Japanese 125s from the past. Since there are no off-road 125s to compare it to, we compared it directly to a modern Yamaha YZ125 and found the Beta has similar bottom-end power with much more on top. 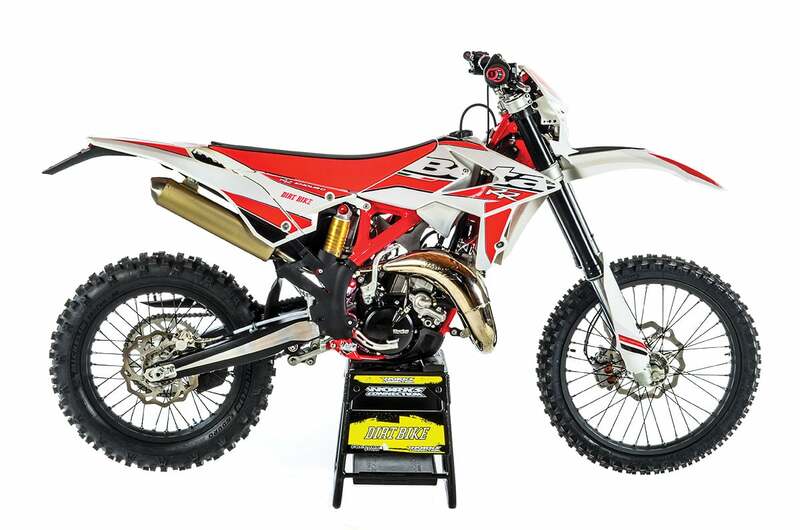 We just finished the 125 MX shootout in our May 2018 issue, and we can definitively say the Beta has enough motor to compete as a motocross bike. The KTM-powered bikes and the TM might have more on top, but the Beta has a more gradual hit and seems to have a little more flywheel weight. On the trail, this is about as good as a 125 two-stroke can be. Admittedly, this isn’t a mainstream application for 125s in the U.S., but those who have given it a try are believers. On reasonably level trail, the Beta can keep up with any off-road bike once the rider learns the drill—shift, shift, shift. A small-bore two-stroke demands your full attention and punishes the lazy, but once you make the mental adjustment into 125 mode, the rewards are clear. The bike is so easy to manhandle that you feel like Superman. It turns, jumps and stops with very little effort. Riding a 125 gives you results like going to the gym—without the annoying workout music. This is an all-new motor using well-established technology. There’s a hitch when it comes to trails that aren’t level, which is the case most of the time. The little Beta is no hill-climber, and riding on mountain trails requires more effort, not less. You learn the drill there, too, but it requires that you stay in race mode when your riding buddies on big bikes are just cruising. The 125RR is a package deal; you can’t have the advantages without paying the price. In the suspension department, the Beta is clearly designed for off-road, or perhaps motocrossers who weigh around 110 pounds. It’s fairly soft. On the trail, it has no trouble dealing with rocks and sharp edges. On a real motocross track, it uses up its travel quickly. Luckily, the Sachs suspension has become almost mainstream. Getting stiffer springs is easy, and almost any suspension shop knows what to do. The bigger question is deciding what you want. 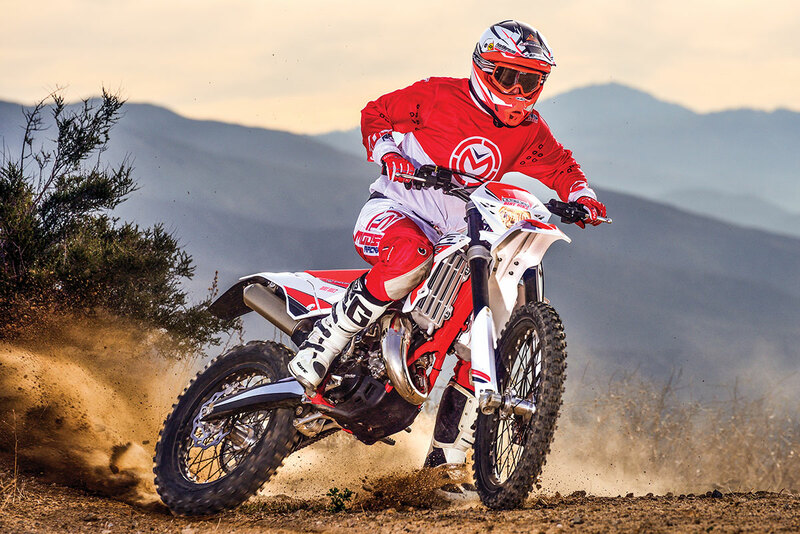 The Beta might be sold in off-road trim, but most will probably find their way to motocross tracks. Beta uses parts from all over the world. Nissin brakes stop both ends. We tested one of the first 125RRs in the country, so there was a lot to learn. The stock jetting is super clean and crisp for trail riding, but it can detonate when you put the motor under a big load. A little race fuel mixed in with pump gas cures this, but in the long run, fatter jetting is a better solution. The main jet can be bumped up from a 175 to a 178, and the pilot can go from a 50 to a 55 without ill effects. We also found that the clutch can take a lot of abuse, but it likes to complain. When it gets hot, it makes an odd squawk. It still works well, and the Brembo hydraulic system compensates for any fade, so the noise is just that—noise. 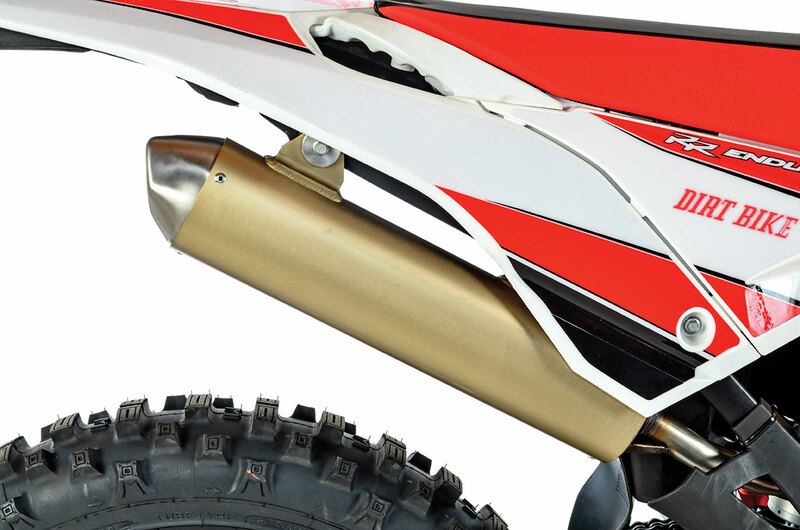 FMF supplies the exhaust pipe, but the silencer is European-made and has no spark arrestor. As with all stock two-strokes, the muffler has no spark arrestor. The bike does have a nice skid plate and frame guards. All that enduro equipment has considerable value, too, so the $7999 price is easily justified. The only other off-road 125s in the U.S. are the TM, which sells for $8495, and the soon-to-be-released Sherco for $8400. The Husky and KTM 150 off-road bikes are also around $8200. We don’t know if Beta will sell a zillion 125RRs in America. The reason there are so few 125 off-road bikes available is because it’s a very small, specialized market. 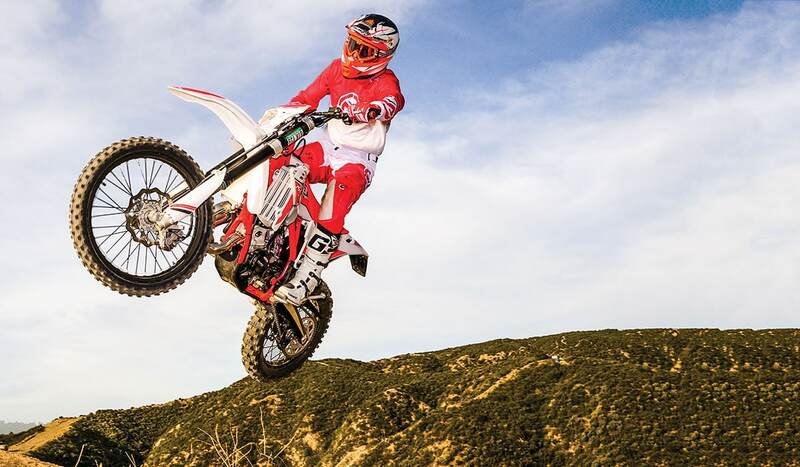 But, the fact that it can double as a motocross bike lifts it out of that niche into a broader category, and the fact that the performance and quality are excellent is better yet. 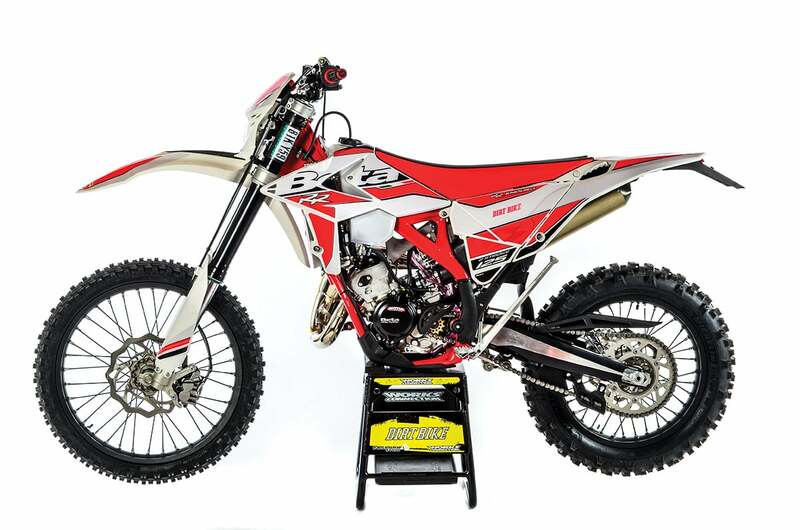 We’re just delighted that this bike proves Beta is as devoted to two-strokes as we are. Fuel tank capacity: 2.3 gal. Weight, no fuel: 210 lb.